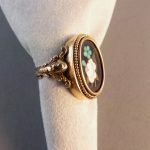 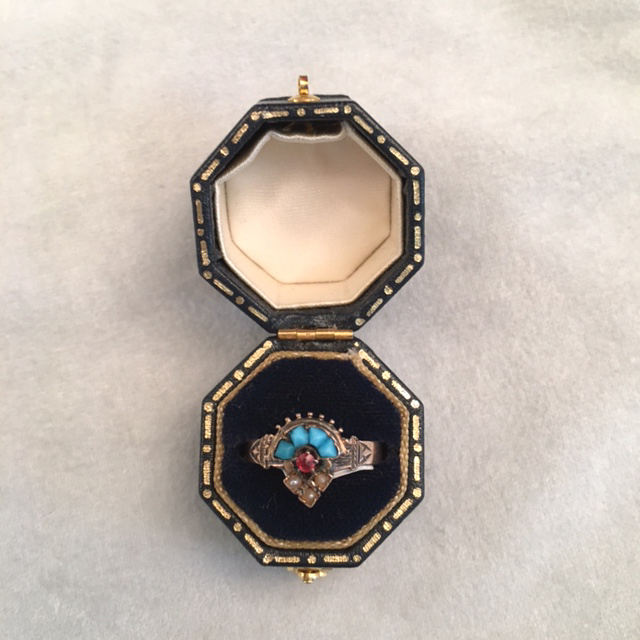 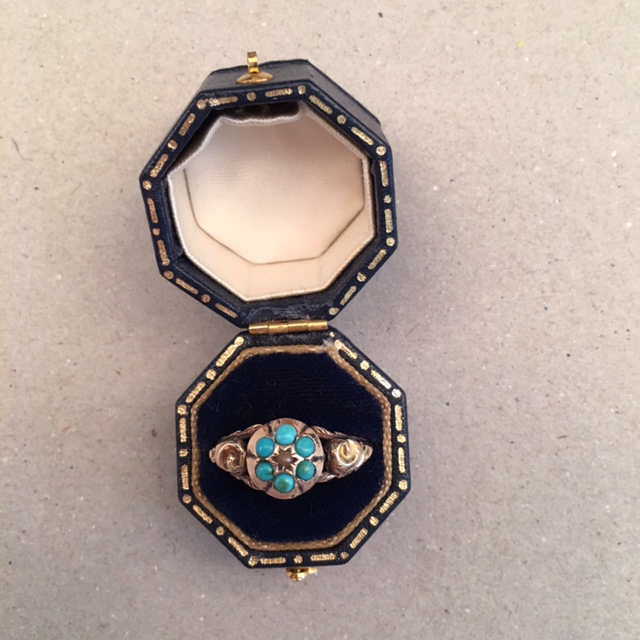 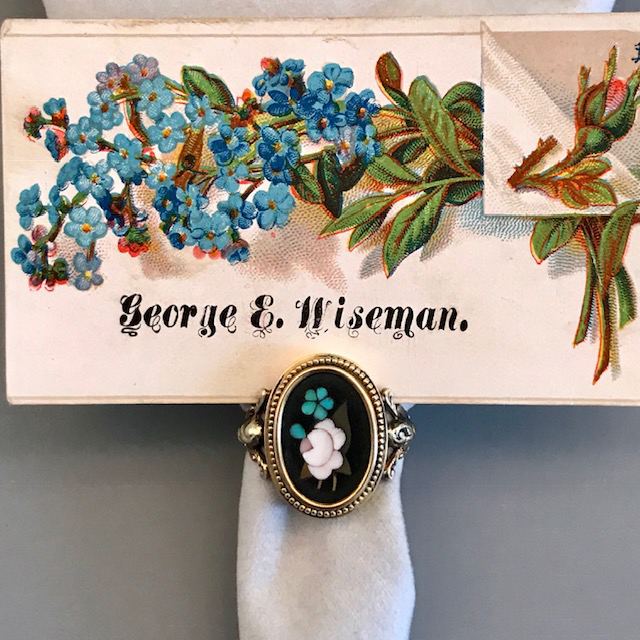 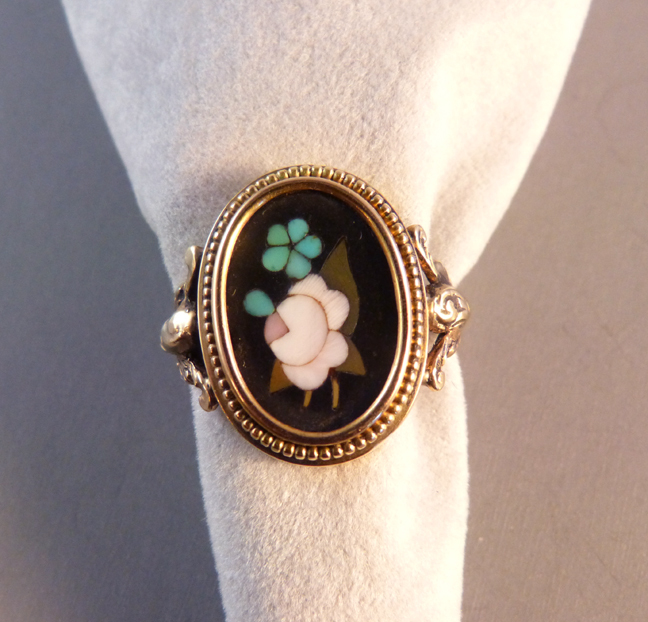 VICTORIAN 15 karat yellow gold and pietra dura flower bouquet ring with pink roses, turquoise forget-me-nots and green leaves. 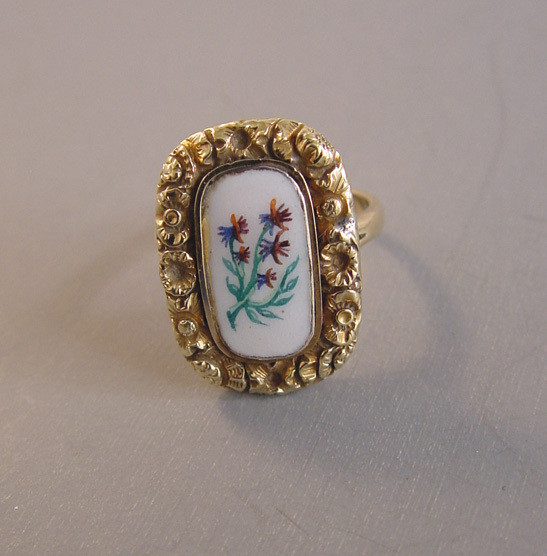 The setting is beautifully embellished all the way around the band. 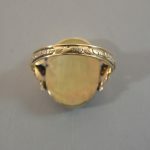 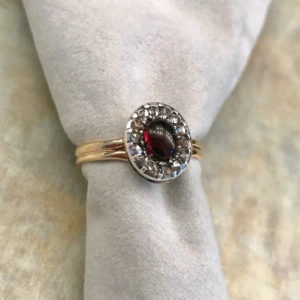 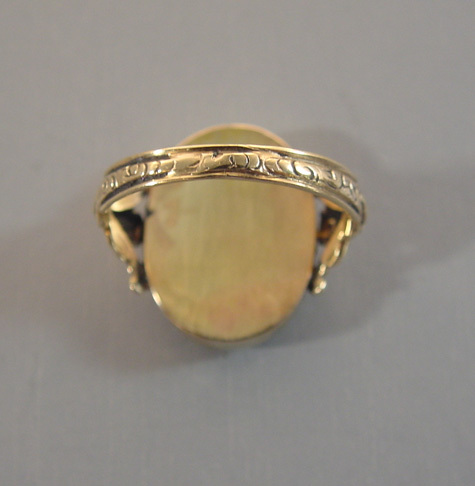 The ring is a size 8 and laying 7/8" along the finger. 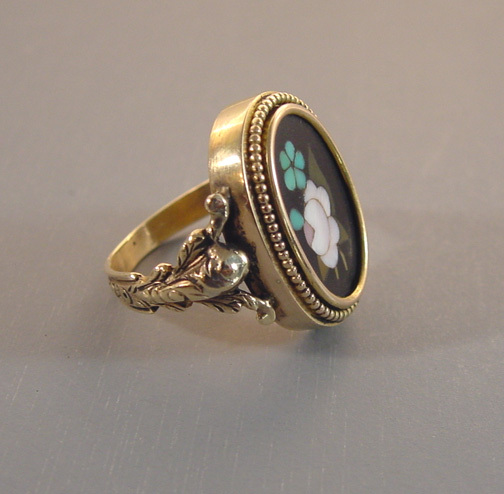 The total ring weight .23ounces.